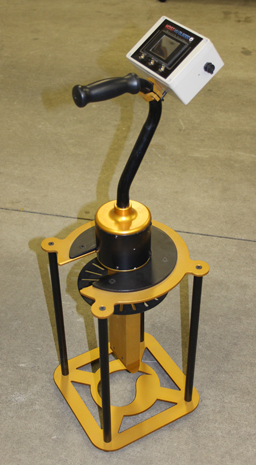 Developed specifically for measuring moisture content in Hops, Herbs, Sunflowers and more. 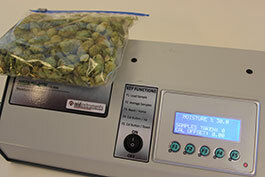 Measuring moisture in loose organics such as hops is difficult while drying in the Kiln. As a producer, you attempt to determine the proper moisture content knowing that your product cannot be too wet, or too dry for further processing. organic material in front of the measurement faceplate. The Moist-VU incorporates self-calibrating start up with the ability to load, store, and average the readings in order to calculate your target moisture. Load button allowing you to store value readings. Average button to display all of your stored readings. Reset button allowing you to start a new display of moisture values. Over 6 hours of continuous use between charges. The Organic Kiln-Dryer Moisture Meter helps you to determine proper drying time to achieve the appropriate residual moisture content. The tabletop “Moist Vu DL4000” allows you to take control of moisture management and achieve your post-harvest target moisture in loose organics such as hops and cannabis. This tabletop model offers non-destructive meter technology that calculates desired moisture in multiple grab samples and the flexibility to be used with kilns of any size. 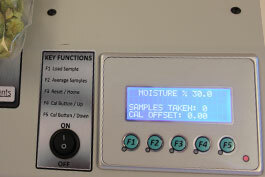 The new “MOIST VU DL4000” includes the same technology featured in the “MOIST-VU DL6000,” that has been used by Northwest hop growers since 2008. Hops and its close cousin cannabis, have similar cone structure, making the DL4000 the perfect tool for moisture management for either crop. Take control and determine moisture content without over or under drying. The low power Tank Volume Monitor was developed out of a need from Agriculture Chemical suppliers to provide economical liquid tank volume indication. The low cost standard way to indicate/measure tank level is often a glass or clear tube sight gauge. The tank volume can be determined by cross referencing the level in a “Look-up” Table to determine the tank volume. Some Liquid products such as Metam (Soil Disinfectant) and Telone (Soil Fumigant) are now required to be stored in tanks that do not use an external glass or tube style gauges that are attached to the outside of the tank for safety reasons. 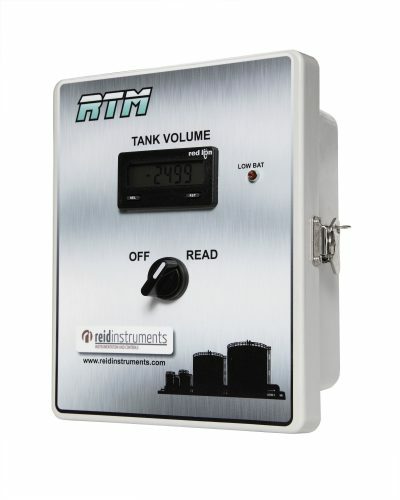 Tank level/volume can also be measured and indicated electronically. Ultrasonic or Radar transmitters can be mounted on top of the tank with an indicator panel at ground level at the bottom of the tank. Both of these methods require attaching brackets, cutting holes in the tank top area and running electrical conduit to the bottom of the tank. Average cost including installation of both methods are $2,000 to 5,000 per tank. 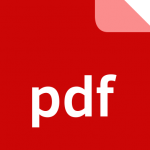 These 2 common electronic methods normally require a continuous source of supply power.